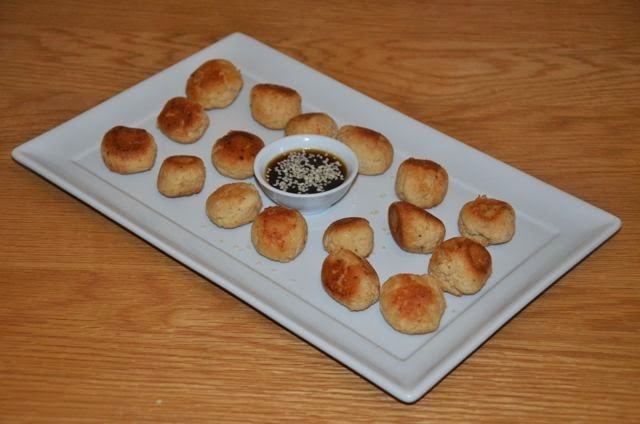 This recipe makes a great dinner party starter, party nibbles or even dinner when served alongside some garlic mashed potatoes or white rice. Either way, it's yummy and something a little different for chicken. 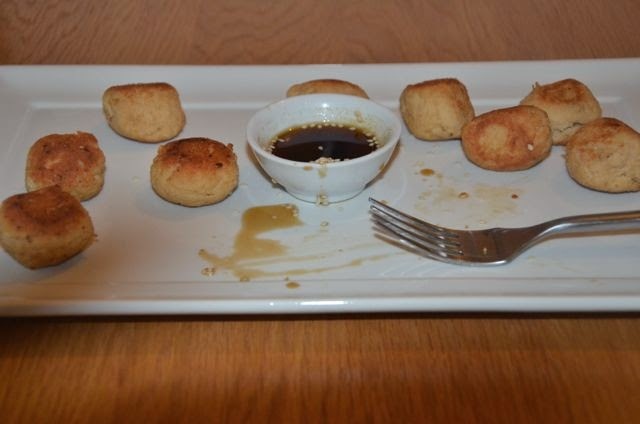 These chicken balls would be equally delicious without this dipping sauce, however should you choose to make it as it, be careful with the salt in the chicken balls as the soy sauce makes the dip quite salty. 1. Cut the chicken breast fillets into 1 inch cubes. 2. Heat 1 tablespoon of the vegetable oil in a non-stick frying pan. Cook the chicken on medium-high heat until crisp, golden and cooked through. 3. Reduce the heat and remove the chicken with tongs or a slotted spoon, keeping as much oil as possible in the pan. Set aside to cool a little. 4. Add the minced garlic to the pan on reduced heat and cook until softened. 5. Add the chicken and garlic in oil to a food processor and whiz until ground up finely. While sill whizzing, add 1 tablespoon of the soy sauce and the egg. Mix until combined - you should have a slightly moist, but reasonably firm mixture. Set aside to cool further. 6. Make the honey teriyaki dip by putting the remaining soy sauce, honey, miring and water in a small saucepan on medium-high heat. Bring to a boil, then reduce the heat and simmer for 10 to 15 minutes. Set aside. 7. Roll the chicken mixture into small balls about the size of a walnut and place on a baking sheet lined with cling film. 8. Heat the remaining oil in the non-stick frying pan and stir fry the chicken balls until golden brown on all sides and remove to a plate lined with paper towels to drain. 9. 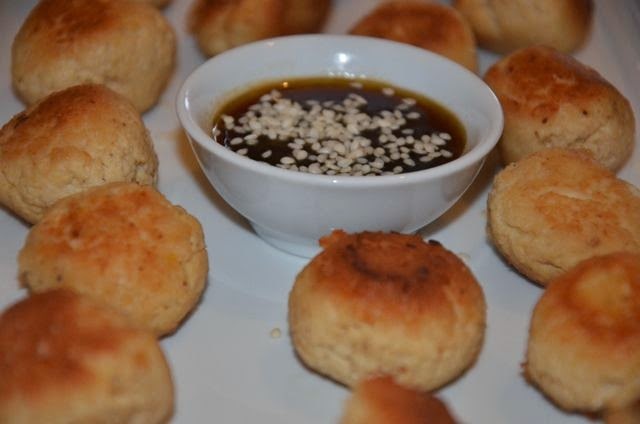 To serve, pour the dip into a small bowl, sprinkle with sesame seeds and place next to the chicken balls on a plate. If you're serving this as party nibbles, small cocktail napkins and toothpicks alongside would be a nice touch.